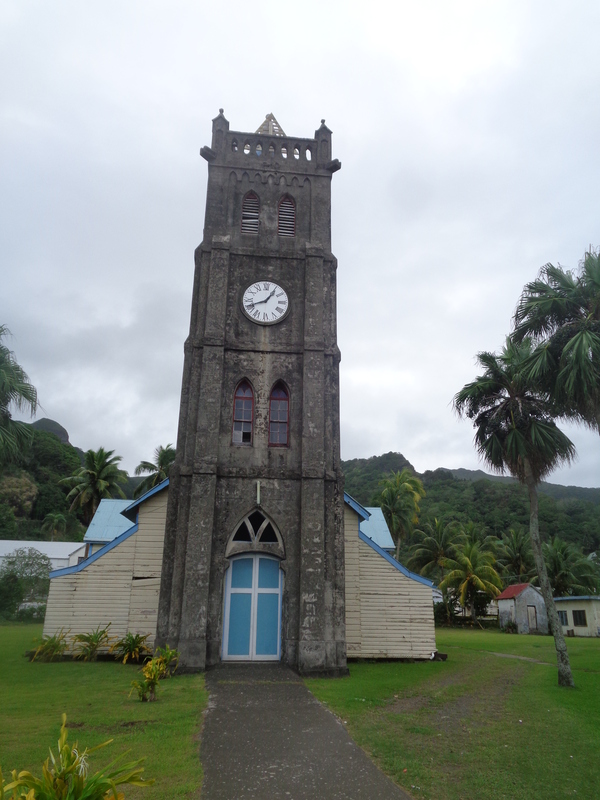 Locals say if you haven’t visited Levuka and Lovoni Village then you haven’t been to Fiji. The history is amazing, sad, and a very moving fight for survival. 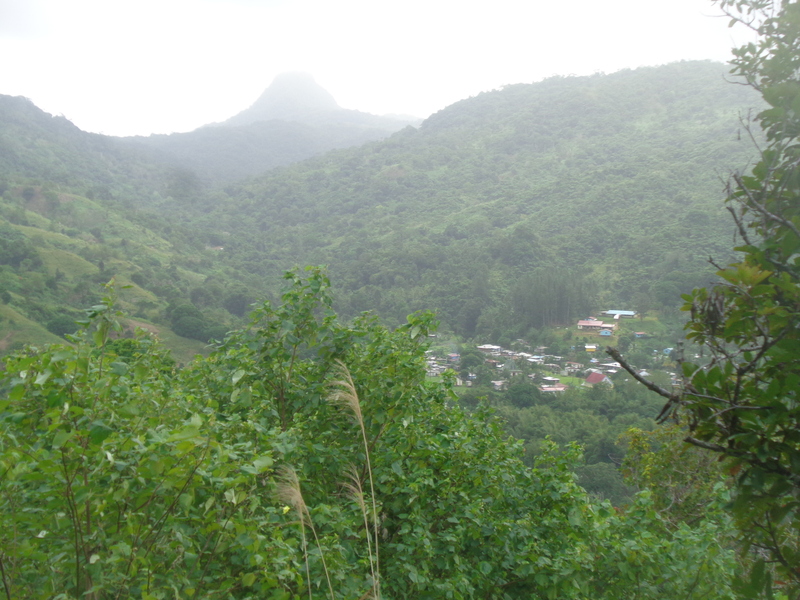 Epi’s tour took us on a fantastic day trek from Levuka Town to Lovoni Village, through the jungle, over a mountain, and down into the crater. On the way he explained his story which is remarkably humble and the reason he knows so much about how to survive with the food and medicines provided by the jungle. Once we were at the top of the mountain the view into the crater of the extinct volcano was stunning. The volcano is said to have been extinct for 40,000 years, Lovoni being in the crater means that it is one of the only safe villages from hurricanes or cyclones. 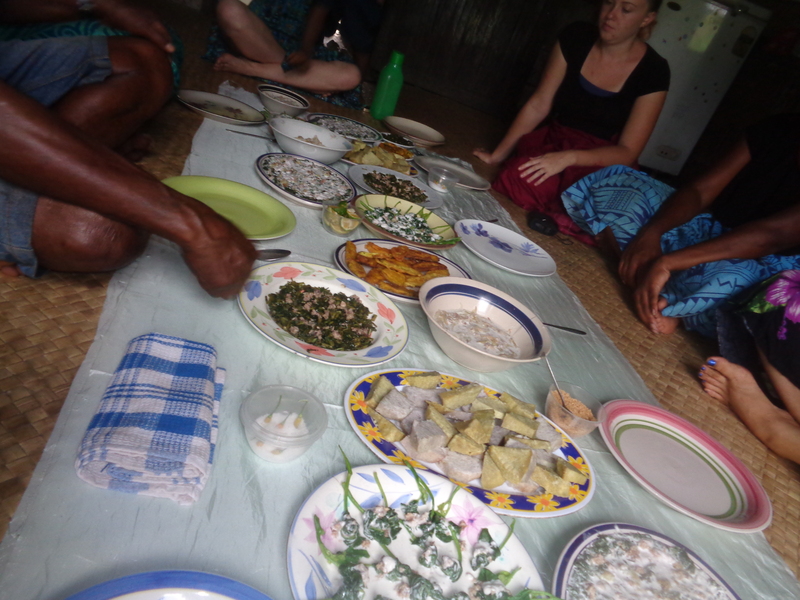 We had a fabulous lunch at Epi’s families house in lovoni, it was delicious range of vegetables and fish which is the diet of their ancestors before chickens etc were introduced. After lunch and tea Epi then explained the history of Fiji from the first landing times, when the first people came to Fiji, how Ovalau Island was populated with lovoni being fiji’s first village, colonial settlement, and the survival of the lovoni people. 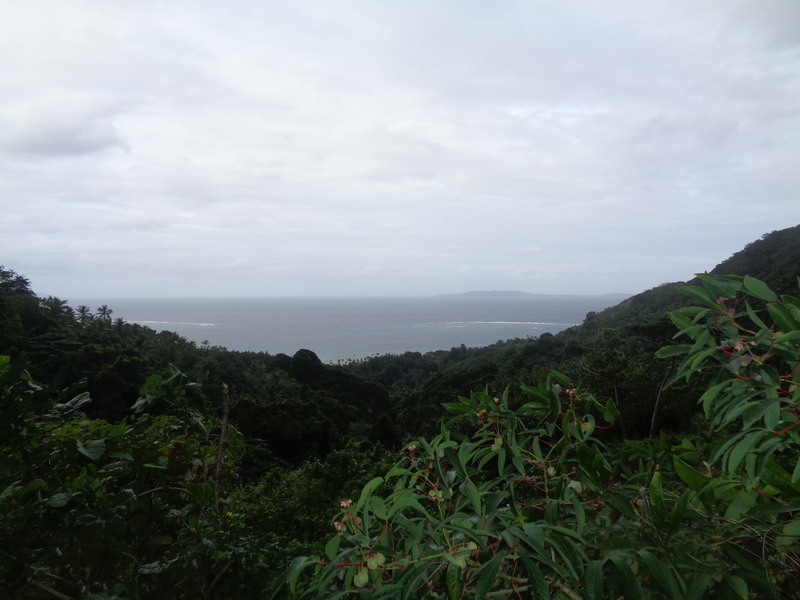 I would recommend this trip to everyone who visits Fiji and especially ovalau Island. 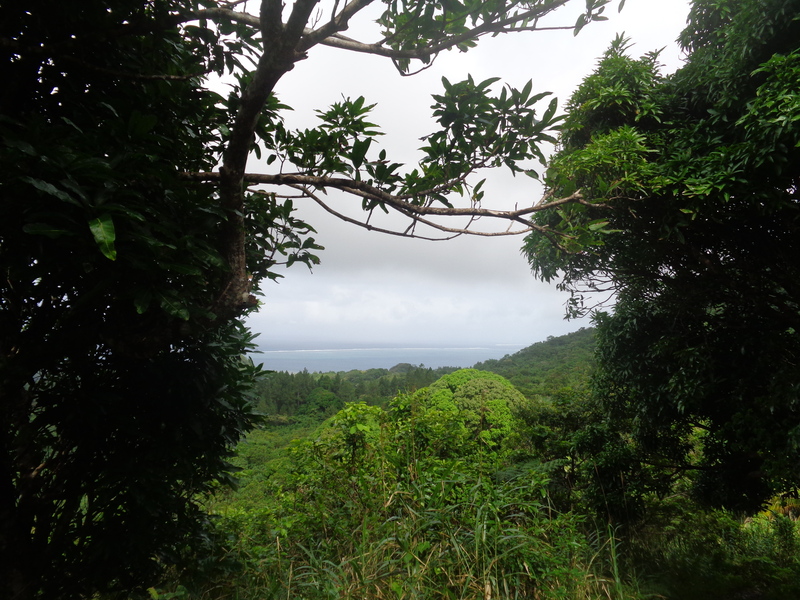 It was the best day on Ovalau and one of my favourite days during the island hop. We stayed in ovalau for 5 nights but I think 3 would have sufficed. It is a sleepy island where there isn’t much to do in the evenings. 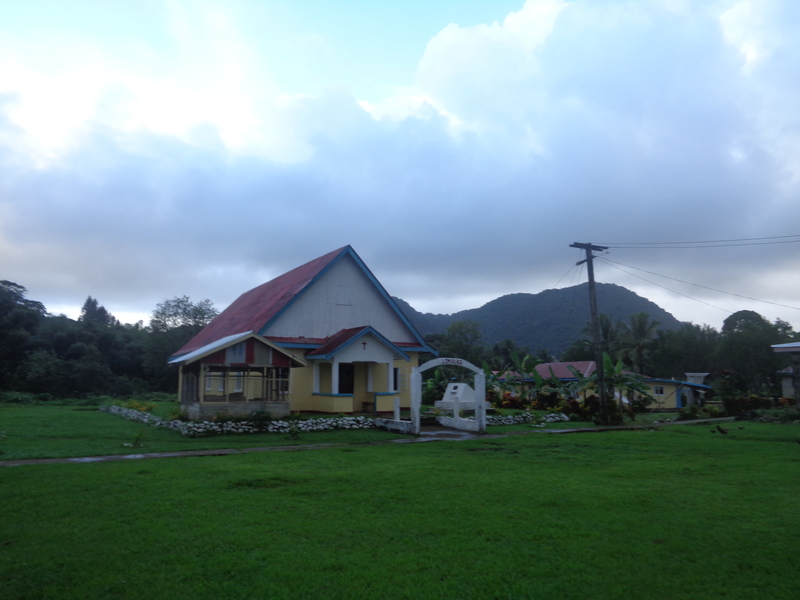 We spent most nights eating in and going to the bar of the ovalau holiday resort. The manager David was a great host who wore many hats as he was also the cook and pretty much worked 24/7… What I didn’t expect was that we would be ambushed by a New Zealander bogan! The company that was fixing the roads on ovalau Hiways, had booked out some cabins at the resort so it was 5 nights of bogan. Offensive language, obvious sexist, fighting, real fighting fists and all, drunk every night and chain smoking. 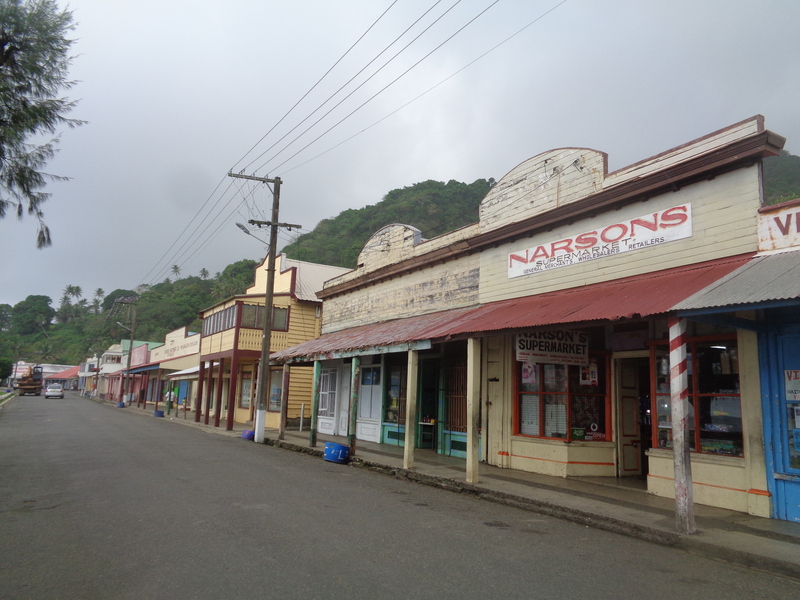 Anyway, levuka town was very cute and now a world heritage site. It looks as though cowboys should be walking down the main street with its colonial architecture and coconut trees lol. It used to be a bustling trade town with many restaurants, pubs, hotels etc but only the Royal Hotel remains. 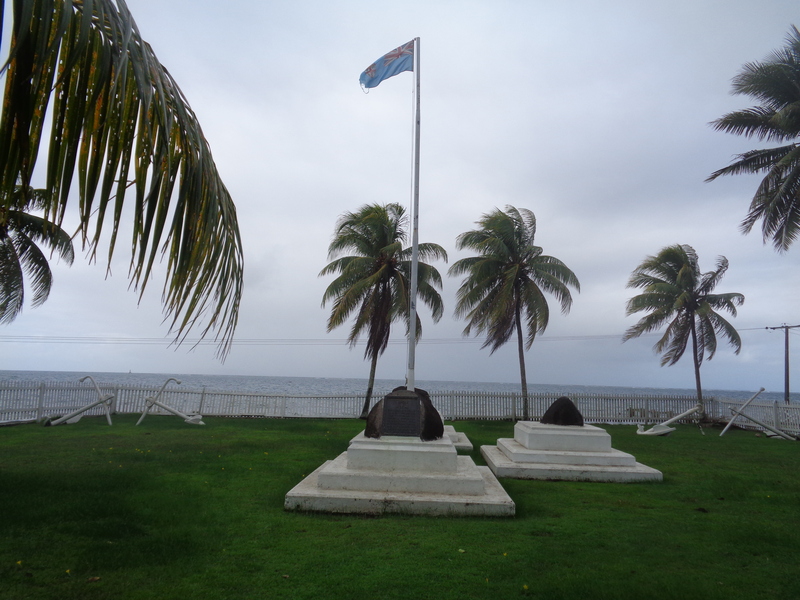 I would suggest to check out the Deed of Succession where Britain gave back Fiji to the Fijians, on Fiji Day there is a reenactment which would be very interesting, maybe we’ll come back one day for that. 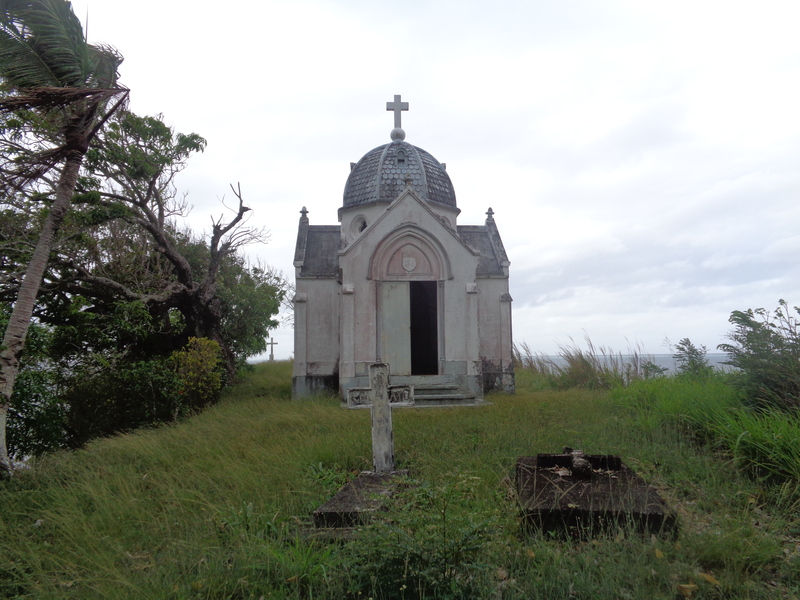 We also took a walk to 18th century gothic Catholic Church on the cliff, it is quite eery purched up on the headland and it has the tombs of the first priests of levuka. A bit further down is St Johns College which is also another out of place but cool building. Unfortunately inside is just used as storage and we weren’t able to go in. One of the grounds workers Emosi at our resort heard we were hoping to go to the waterfall nearby, it would be virtually impossible to go without anyone who knew the way since there is no real track, so he took us. It is passport his village and he does a lot of his own farming out on the mountain. 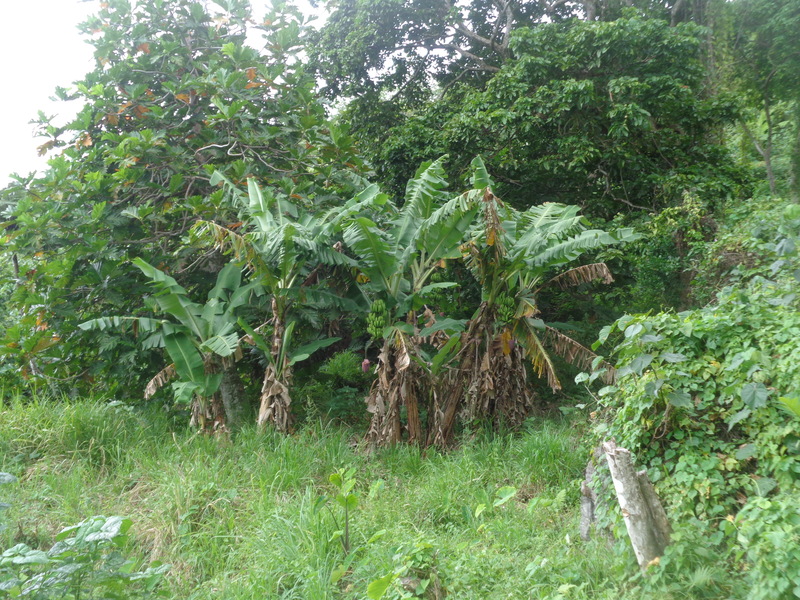 It was difficult and at times I had to be pulled up steep parts or when the footing was dodgy but it was worth it for the view and seeing all the casava, kava, banana and paw paw plants. Emosi even picked some mandarins and paw paw for us, I’ve never liked paw paw but this was no ordinary paw paw, it was delicious, must be the volcanic earth?! 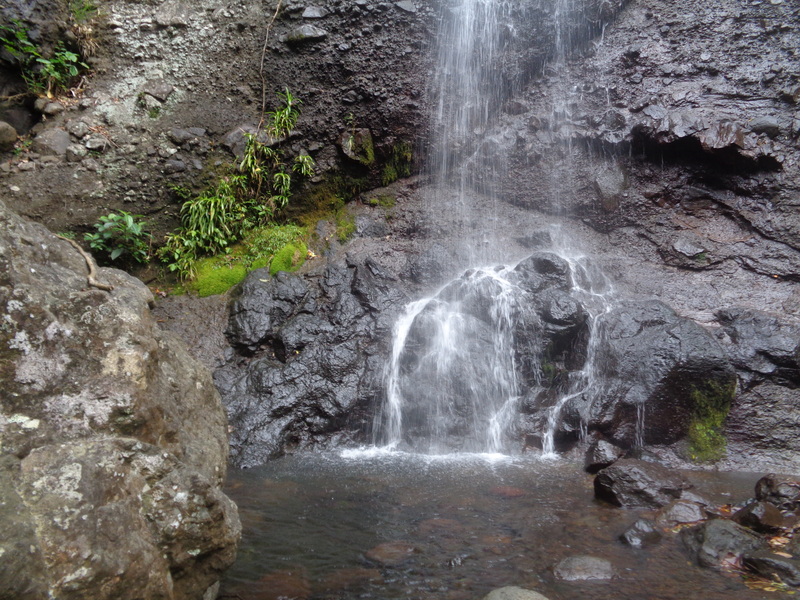 It isn’t a big waterfall but it’s very pretty, the view is fantastic and you can see the reef very clearly. 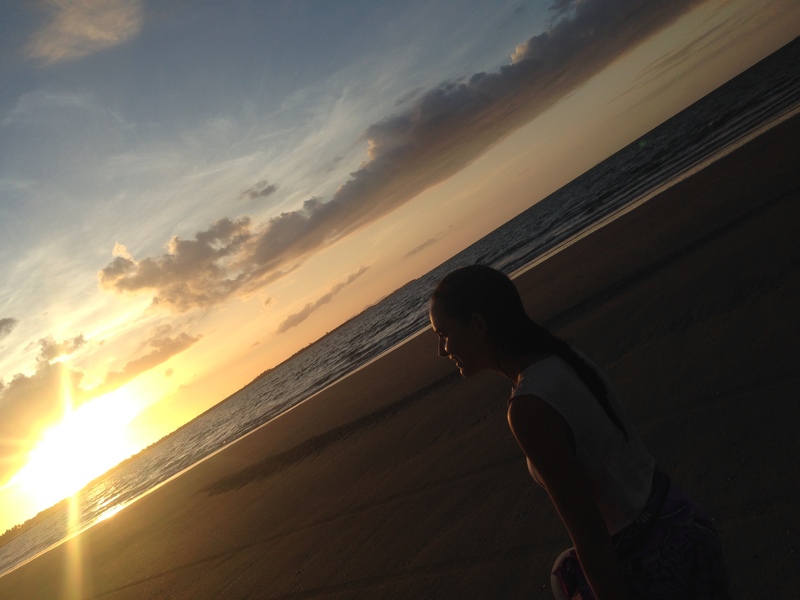 It was an amazing couple of weeks and I can’t wait to explore more islands of this amazing country in the future.